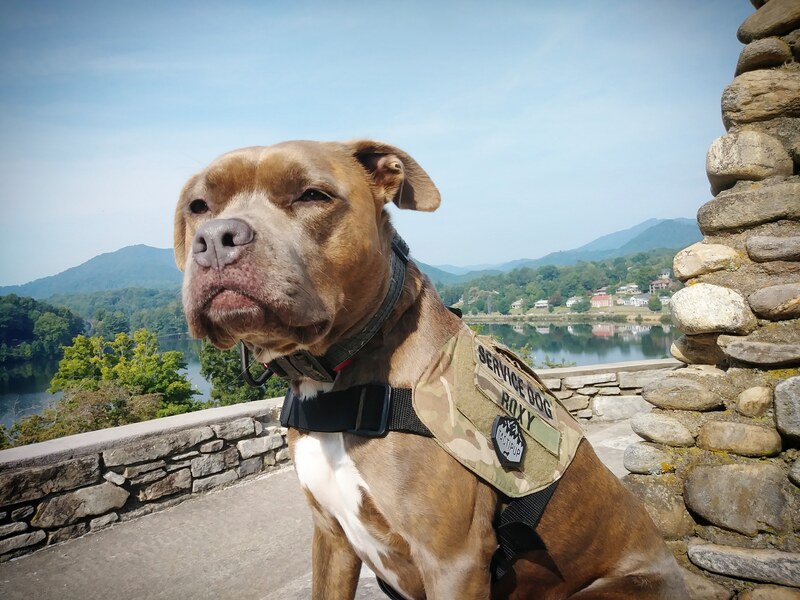 Roxy is a Ptsd Service Dog, to an Iraq war veteran with ptsd and tbi. She's a great ambassador for the bully breed! My dog food of course ! Roxy is in the running for this years top Hero Dog Award, and has already won her Service dog catagory. She is a wonderful ambassador against breed specific laws. She goes to Veteran events and spreads her love around. She’s just a beautify girl, inside and out, and I hope she wins this contest! Best of luck Roxy both here and at the Hero Dog Awards. You have my votes for Dog of the Week.